Each summer when I was growing up, we would have the 4-H Club County Biscuit and Cookie Bake-Off . The winners of the local clubs’ bake-off comptetitions would meet at the demonstration kitchen in the REA (Rural Electrical Association) office and proceed to make plain sugar cookies and biscuits. We all followed the same recipe and a panel of judges rated the final products on color, texture, uniformity, and taste. The summer was a busy time for 4-H Club members. In addition to the biscuit and cookie bake-off, there was the Miss Fluffy Rice cooking competition, the dairy foods contest, plus talent, demonstration and sewing contests. For the members with animal projects, summer meant a lot of preparation of the animals for the upcoming county fair. 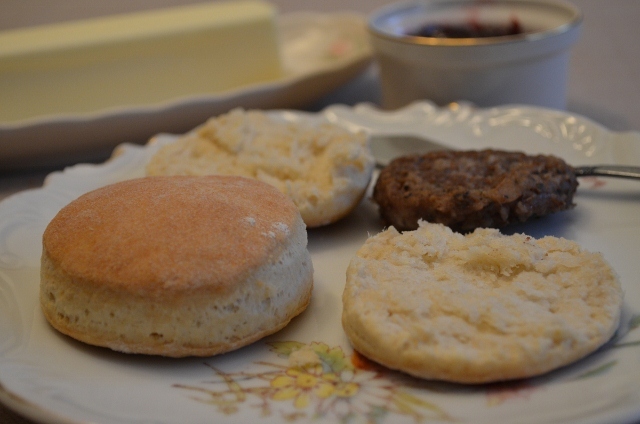 We had biscuits regularly at home whether at breakfast with sausage and jelly or at supper with gravy poured on top. For my children, when they think about sausage biscuits, it always conjures memories of our long car trips from south Arkansas back to Pennsylvania. No matter how early we would leave in the morning, my mother would always have a bag of home-made sausage biscuits ready for us to take in the car. We would usually barely be out of sight of the house before we would start digging into the bag. We passed the warm biscuits and sausages around the car and drove along in the early morning darkness heading north one more time. Here is the biscuit recipe that we used during the bake-off many years ago. 1. Preheat oven to 425 degrees. Sift and measure flour. Add salt and baking powder to flour and sift together. 2. Add shortening to the dry ingredients. Using a pastry blender, cut the fat into the flour mixture until it looks like coarse corn meal. 3. Add the milk and stir about 20 strokes or until a soft dough is formed. 4. Turn the dough out on a lightly floured board and knead about 20 times. 5. Pat or roll out dough until it is about 1/2 inch thick. Cut biscuits with a floured cutter and place on an ungreased baking sheet. 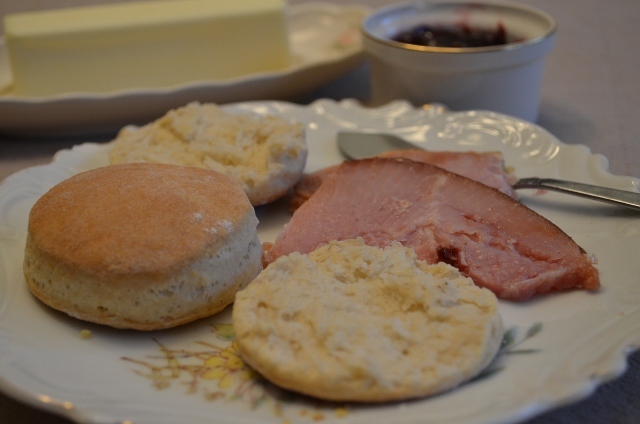 Now I’m hungry…my Mom used to make biscuits for us for breakfast and diner too!